Kita stands for “Kindertagesstätte”, literally “children’s day place”. Translated into American English, it’s a daycare center or preschool. In the rest of the English-speaking world, you’d call it a kindergarten, which also matches the German meaning of Kindergarten. If you’re coming from the States, you’ll need to translate your word kindergarten — meaning an introductory year where kids learn to be schoolkids — into Vorschule, literally “preschool”. Evidently Canadians say “grade primary” for the US-American “kindergarten”. BTW: I am curious if anywhere else in the world uses the word “kindergarten” in the US sense, or uses the words preschool or daycare. Leave a comment! 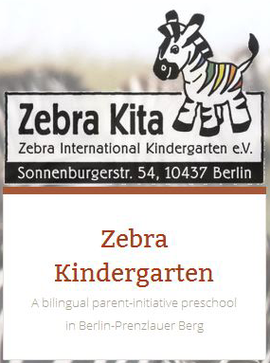 In Berlin, people say “kita” for what in other parts of Germany is called “Kindergarten”, meaning the British correctly appropriated the German word and the Americans lost something in translation on the way across the ocean. Never heard of a kita? No worries… I never took note of the word “kita” until I was a parent, and now it’s one of those German words like “handy” that sneak into my (American) English.